Haitian Relief Information: Here’s how you can help NOW! UPDATE: According to figures released by the United Nations late Friday evening, more than 111,000 people died in January 12th’s massive 7.0 earthquake, the Haitian government announced, as search-and-rescue teams ended their efforts to find survivors and start to begin the search-and-recovery phase. The government’s figure is the first precise death toll. It said 111,481 people were confirmed dead. It is the worst death toll from an earthquake since the 2004 Asian tsunami, and the second-highest death toll from an earthquake in more than three decades, according to the U.S. Geological Survey. 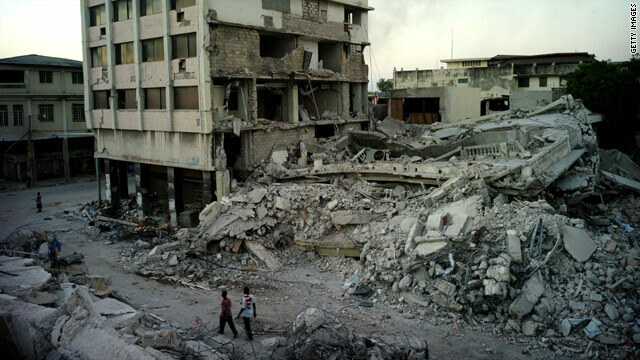 UPDATE: Another 6.1 quake hit Wednesday AM approximately 35 miles from Port-Au-Prince, sending rubble flying into the streets and causing panic throughout the country. Rescue teams and a US Hospital Ship are now in the area, but the needs of the people continue to increase as the death toll estimates continue to rise. Please take a moment to donate to the charity of your choice and keep spreading this message around to your social networks. You have the power to save lives at your fingertips! Haitian Relief Information: Here's how you can help NOW!